Come visit us at our Crows Nest or Warriewood Skin Centres and have all your Nail Care needs taken care of. Whether you’re looking for a quick shape and polish or the full package, we have an option for you! Filing of nails to your choice of shape and length. Nail soak, cuticle detail followed by exfoliation and warm towel. Hand and Arm Massage Therapy. Finished with your choice of OPI Nail Polish. Soaking of the feet, which includes mineral salts and essentials oils to help soften dead skin and relieve tired feet. Shaping of nails, cuticle detail, callus and dry skin removal followed by an exfoliation of legs and feet. Reflex Foot therapy massage that concentrates on pressure points to relieve stress, followed by a warm towel. Finished with your choice of OPI Nail Polish. OPI gel polish set under the UV lamp for instantly dry nails. Long lasting colour for up to 14 days without damaging affects to the nails. 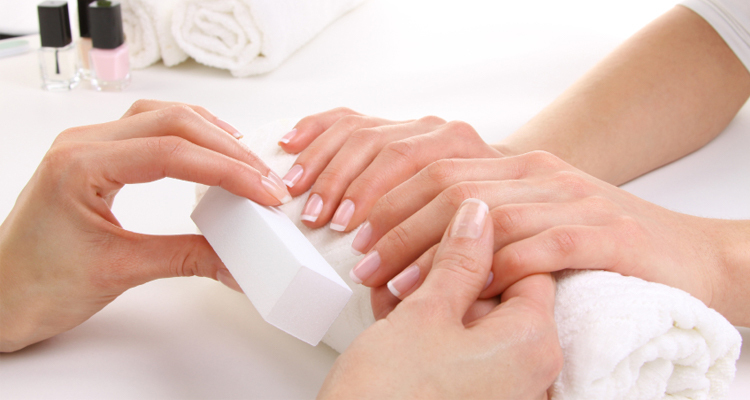 A quick treatment to freshen up your nails. Shaping and buffing of nails with your choice of nail colour. File and buff, dry skin removal followed by a mini foot therapy massage. To finish, warm towel compress and your choice of OPI nail polish. Combining our Ultimate Hand & Foot Spa Treatment, our Manicure & Pedicure package will leave you shaped and polished from tip to toe!